Over the last few weeks, DAI’s Center for Digital Acceleration has been working closely with the U.K. Department for International Development (DFID)’s Malawi office to conduct a digital scoping study of its portfolio. Building on some of the user research we’ve conducted in Malawi, we’re identifying areas where DFID can make small, focused investments in digital innovations to improve the impact of its programs. And we’re also helping the team build relationships with the small, but growing, group of Malawian technologists tackling development challenges with digital tools. 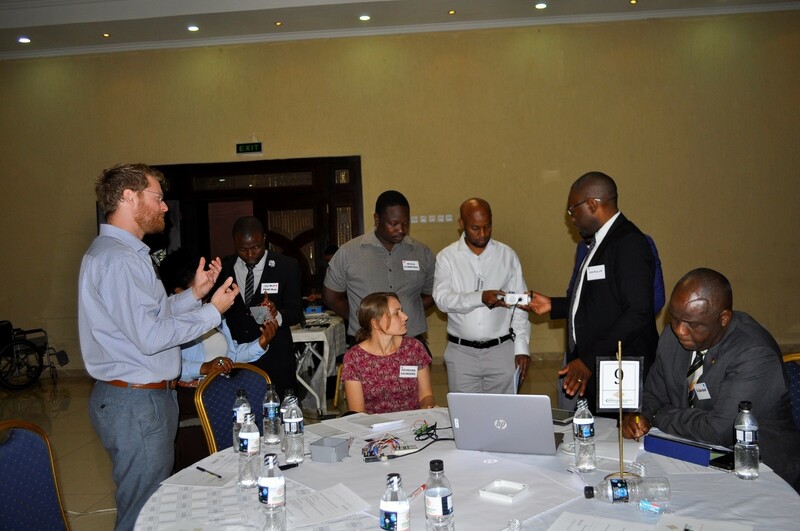 As part of this effort, we put together DFID’s first-ever Malawi Digital Development Forum last week, which brought together local technologists, development implementers, government decision-makers, and DFID staff for a day-long technology exchange. The Center’s Trevor Olexy giving a demo of sensor tech from the DAI Maker Lab. By most measures, Malawi has a long way to go in creating the kind of technology access and infrastructure needed to support a vibrant digital development sector. Despite being geographically located amongst some of the fastest-growing digital markets in the world, Malawi lags behind its peers with one of the lowest levels of connectivity, affordability, and usage of internet and mobile. Available internet connectivity indexes consistently rank Malawi poorly on internet access, affordability, and inclusion. For instance, the most recent data available from the Economist Intelligence Unit (EIU) Inclusive Internet Index—assessing countries on availability, affordability, relevance, and readiness—ranks Malawi 85th of 86 countries, surpassing only the Democratic Republic of the Congo. According to the International Telecommunication Union (ITU) and Malawi National Statistics Office research (2016–2017), Malawi’s mobile subscription rate sits at around 40 to 50 percent, in line with an average of 44 percent for sub-Saharan Africa. However, high-level figures may not always be representative of each village, district or area. Qualitative research conducted by DAI in March in central, southern, and northern rural areas of Malawi found an 88 percent mobile phone penetration in Mchinji, but 50 percent in Mzimba. Internet usage, however, appears to be universally low in Malawi. Malawi’s infrastructure challenges pose a significant barrier to connectivity. Electricity is unreliable with frequent power outages—electrification rates are just 10 percent and the cost of power generation is high. Poor internet connectivity prohibits the increase in internet uptake—GSMA reports that 96 percent of the population is covered by 2G, but only 16 percent is covered by 3G. Not only is connectivity low, but according to Freedom House’s Freedom on the Net 2017 report, Malawi has one of the “lowest and slowest growing rates of the internet in the world, in stark contrast to the exponential growth in access among its neighboring countries on the continent.” The report also finds that average connection speeds in Malawi have decreased from 1.8 megabit per second in 2016 to 1.3 megabit per second in 2017, due to poor infrastructure management and a lack of investment. However, despite these significant barriers to digital access, Malawi can boast some important breakthroughs. Malawi has the world’s largest dedicated humanitarian drone corridor, which has created the foundation for a number of drone-based businesses that are experimenting with everything from transporting blood samples to mapping out geospatial agriculture and climate data. Further, Malawi recently launched a nationwide biometric identity for its citizens. In our work, we encountered a number of digitally driven organizations built and managed by local technologists. The Malawi Digital Development Forum was DFID’s attempt at creating a platform for these organizations to come together, learn from each other, and deepen their networks within the development community. We began the event with a demo of a number of technology innovations being deployed in Malawi. We welcomed tech initiatives from UNICEF, mHub, VSO, Angle Dimension, Girl Effect, Baobab Health Trust, Precision, the DAI Maker Lab, Farm Radio, and ShiftIT. Development implementers, government decision-makers, and DFID staff heard how Precision is using drones to map out Lilongwe; how VSO is utilizing tablets for literacy and numeracy learning in schools; and how mHub is gathering data from citizens to improve election violence reporting. This first session opened the eyes of attendees to what is already going on with technology in Malawi, while creating the basis for the next stage of the event. Owen Cardew from Precision talks through the possibilities and limitations of drone technology. 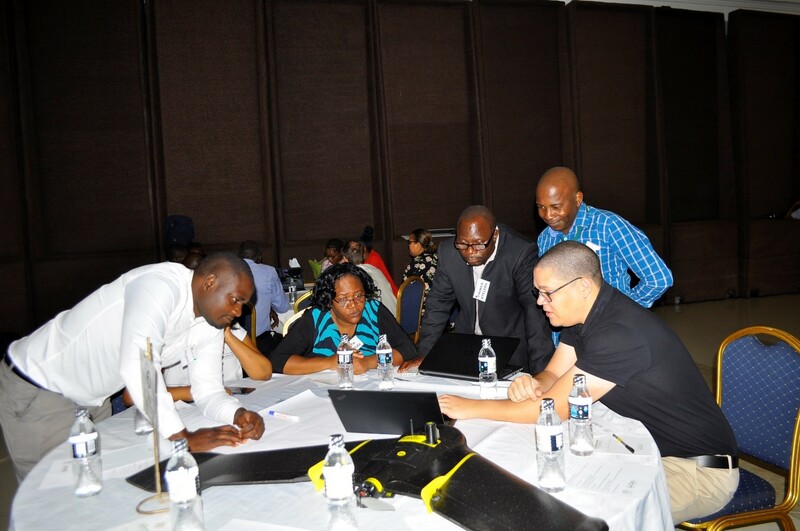 We then moved on to a problem-definition session, led by technical leads from DFID Malawi and the Malawian Government. We asked teams to forget the tech and think carefully about what problems Malawi is facing, the key stakeholders involved, and what these problems mean for development. 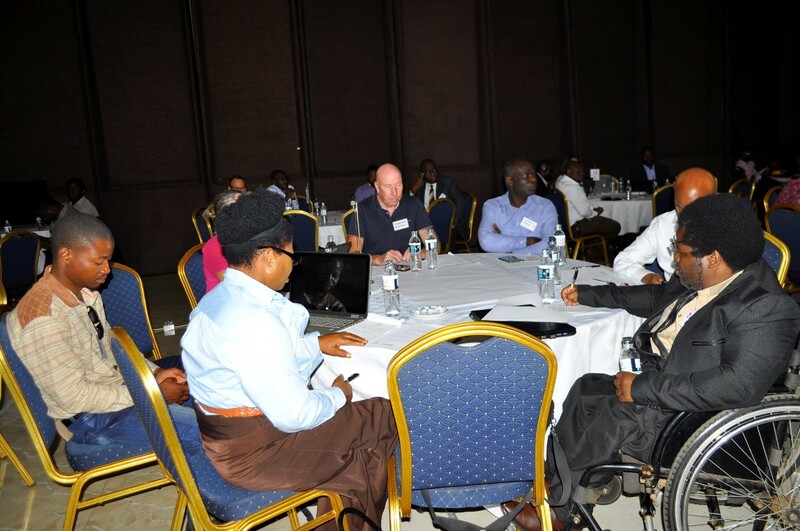 Teams brainstormed development challenges in governance, the private sector, education, health, disability services, and resilience and climate change. These problems then morphed into concepts. For the afternoon session, mixed groups of techies and development practitioners thought through how technology could address each problem. What would a technology solution to this look like? Who is our key audience? Which stakeholders would we need to get on board? Concepts included data tools to increase government transparency, ways to improve the ability of persons with disabilities to access equipment, and drone technology for mapping and reporting deforestation. While we are still thinking through how we might put these concepts into action, there is no doubt about the eagerness amongst Malawi’s digital providers and development practitioners to embrace the new digital opportunities. Watch this space for more updates in the coming months! The teams begin brainstorming possible tech solutions for development challenges.